Some sweet, some hot. Delicious raw, cooked, and pickled! Our summer cucumber plants succumbed to the heat. 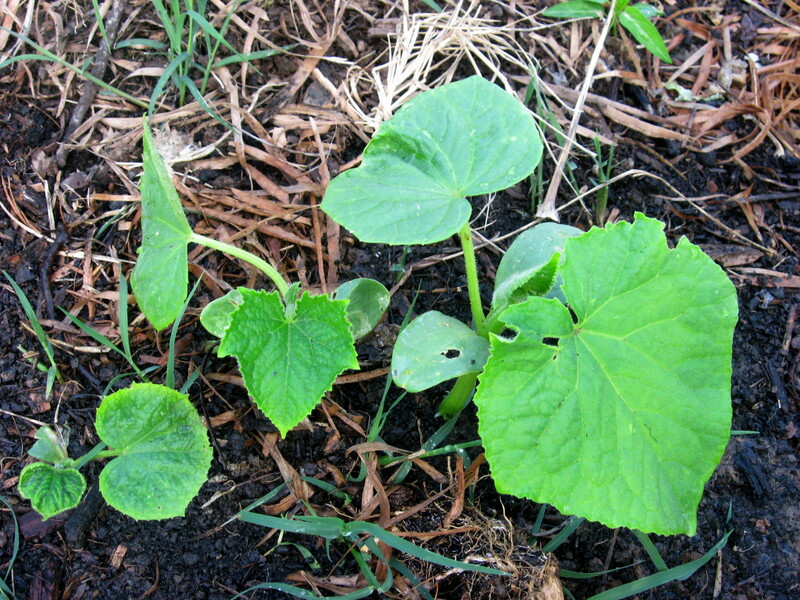 These cucumber seedlings were directly seeded, hopefully in time for a harvest before the first frost. 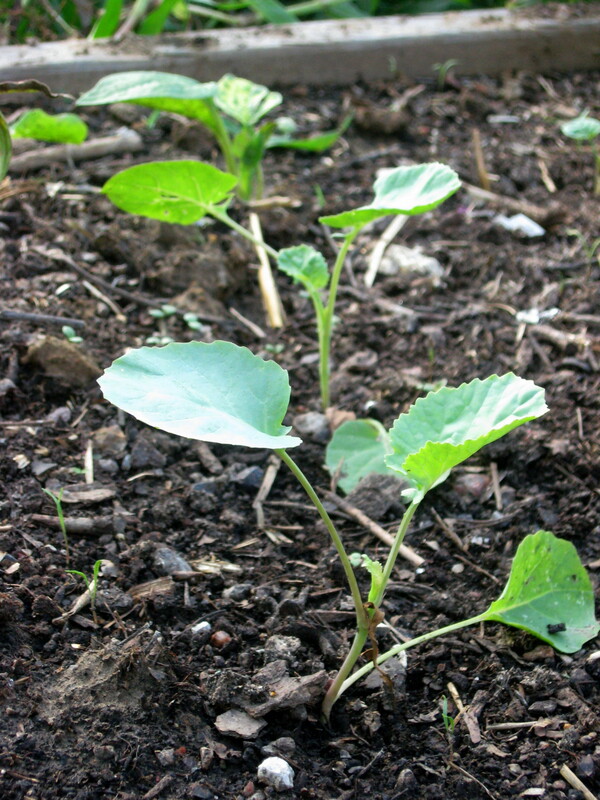 We transplanted broccoli seedlings that had been started inside. 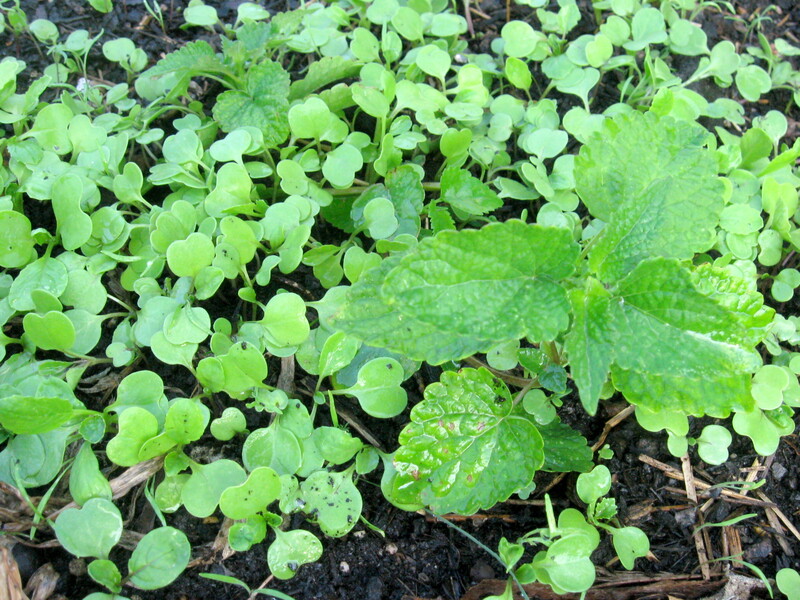 We sowed some of the seeds we saved from our spicy salad greens, pictured here with hyssop. Meanwhile, we’ve still got a lot growing strong. 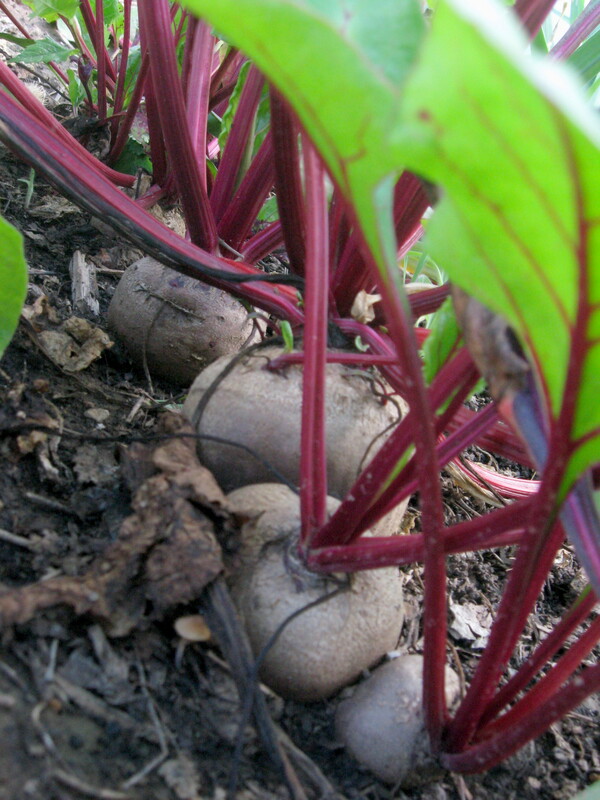 Lots of beets to dig up! 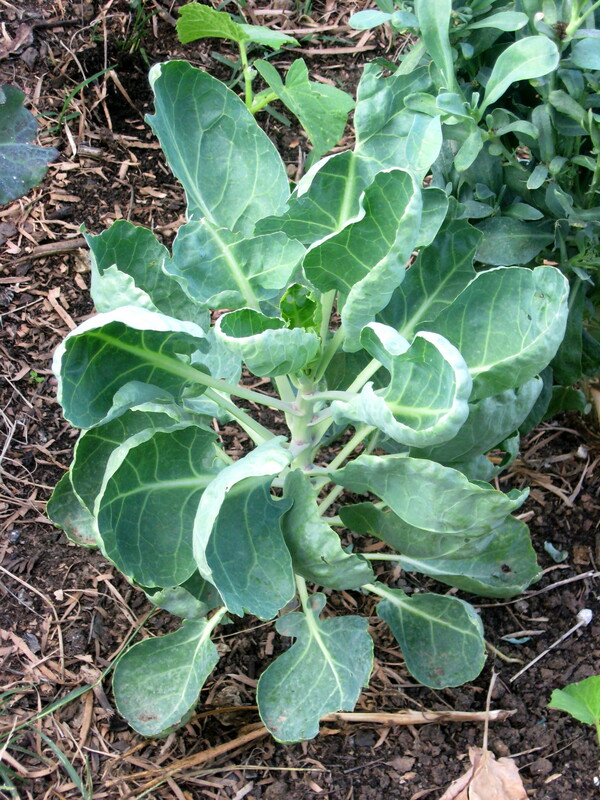 These brussels sprouts were planted recently and are almost ready to produce! 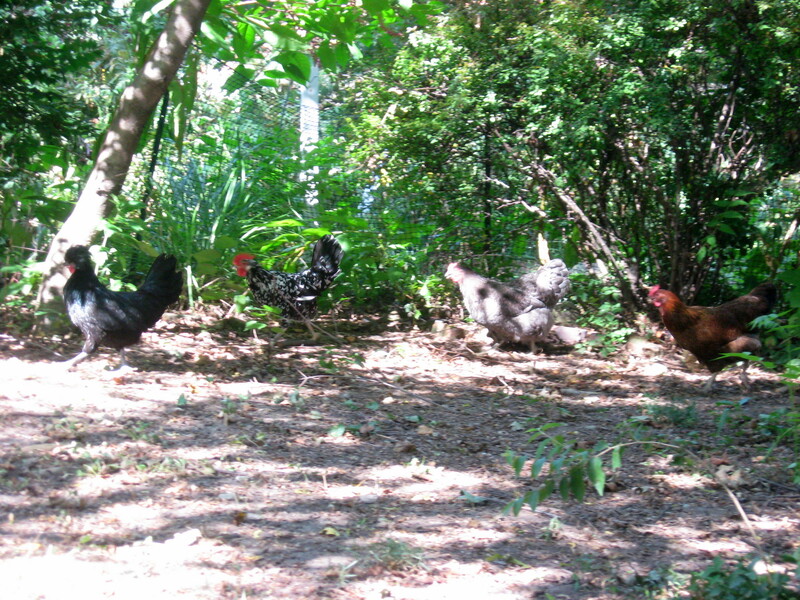 We haven’t mentioned the chickens in a while, and we realized we never gave our readers a tour of their home. We kept it cheap by buying used items and using materials we found or already had on hand, as well as paint Sallie had left over. 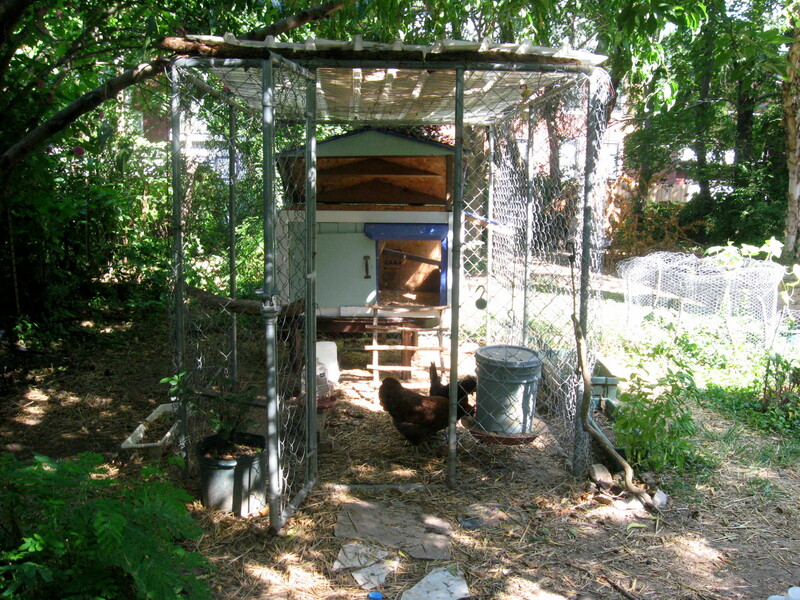 Here’s our coop, which we discussed a long time ago in our post Dog House Turned Chicken Coop. 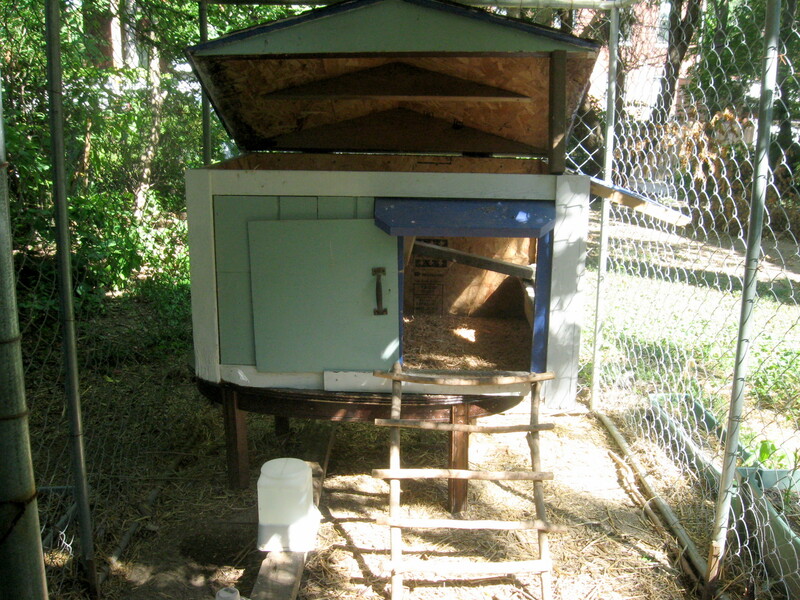 The dog house already had the hinged roof- perfect for cleaning and egg collecting. We added the window on the right, which we’ve had propped open this summer. 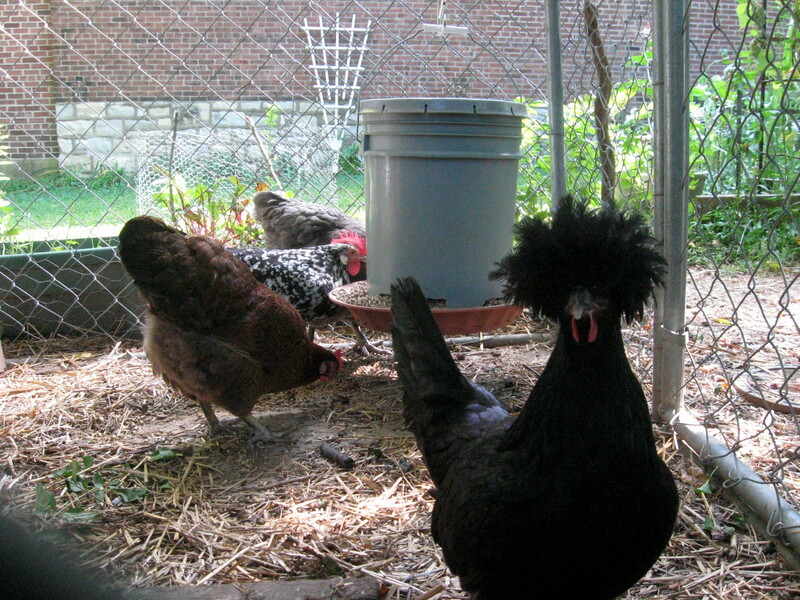 Chickens love being above the ground, so the coop is elevated on a coffee table we found in the alley, which also gives the chickens extra space to walk beneath their coop. Eric made the ladder out of sticks we found in the yard and a few screws… it’s held up well! 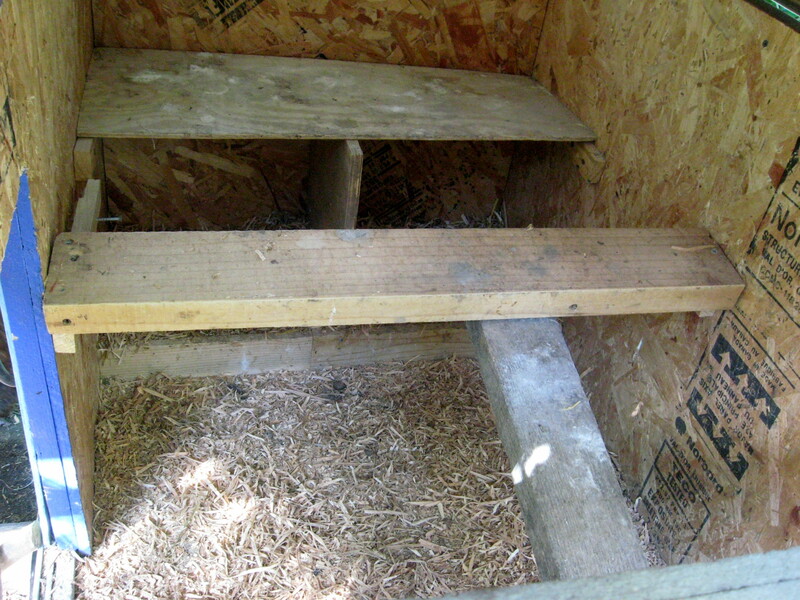 Here’s a view inside the coop, taken from above. Chickens’ natural instinct is to sleep as high up as possible, so we installed a tall roost in the middle and a ramp to access it. 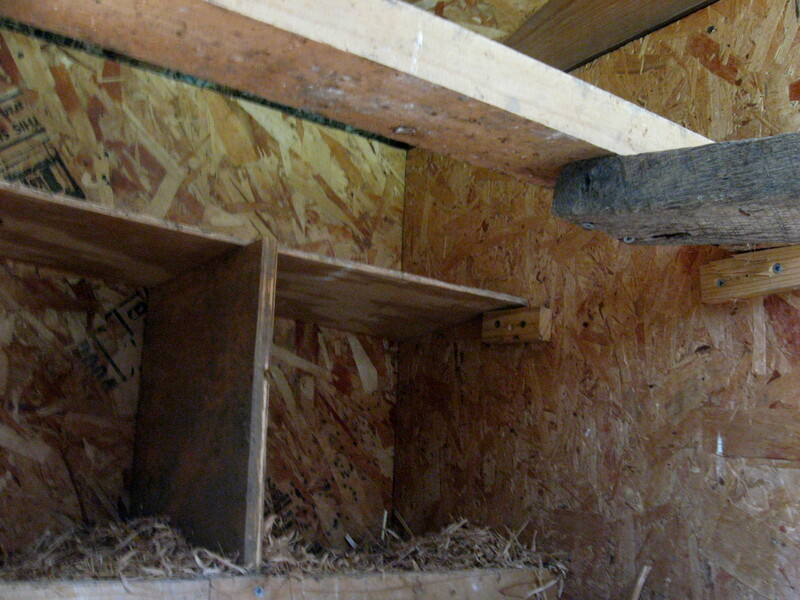 Behind the roost are two nesting boxes. They don’t need separate ones, they like to share- they have their own laying schedules and like to lay their eggs all together in a clutch. We covered the nesting boxes to give the ladies an extra surface to roost on and to prevent them from pooping on the eggs. 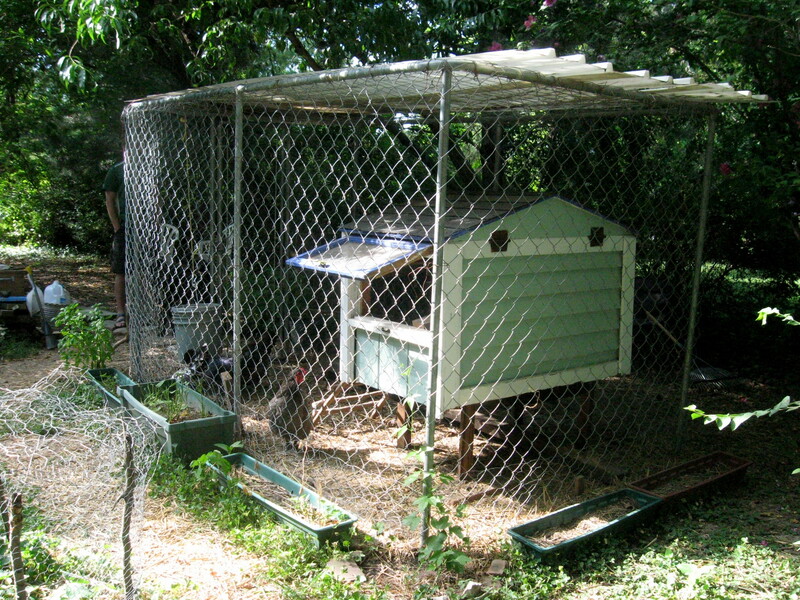 Our chicken run is a chain link dog pen we bought on Craigslist, which we topped with a couple of corrugated plastic sheets for rain protection. We have two waterers to keep the ladies hydrated. We made the one on the left using a large plastic jug with a slit towards the bottom, which sits in a plant tray. With the cap on the jug, the water flows out from the bottom and fills the tray up to the level of the slit. On the right is a pet waterer Eric’s mom found for us, which works essentially the same way. These sit atop a long roost, and there are two other roosts in the corner of the pen, out of view. Have we mentioned that the ladies really like being above the ground? 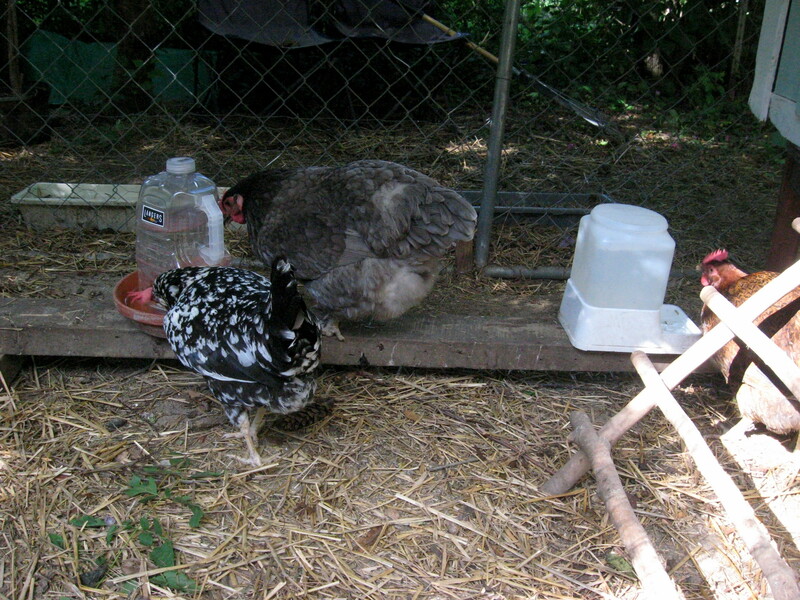 Here’s Chica our Polish hen working the camera, while Mother Clucker the Partridge Rock, Yolko the Ancona, and Fanny the Jersey Giant peck at their food. Their feeder is a 5 gallon bucket with holes cut along the bottom, attached to a plant tray. We have it suspended and attached to the top of the pen to keep it from being knocked over, though they still spill their food everywhere! …but if you know where to look and what to look for, you may be pleasantly surprised. 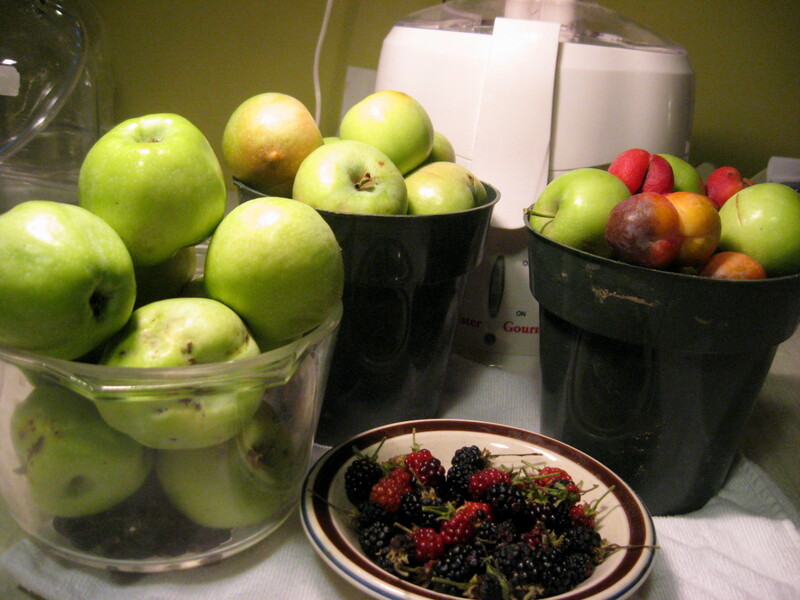 These apples, blackberries, and plums were all found in our Soulard neighborhood, many in our very own (well, Sallie’s) side yard. (We juiced these fruits and are in the process of fermenting the juice to create a hard cider. More on that later!) We’ve also found edible greens and flowers. Mushrooms are easily foraged, too, but you’ll want to make sure they’re safe for humans to eat. The Missouri Department of Conservation has a great guide here. 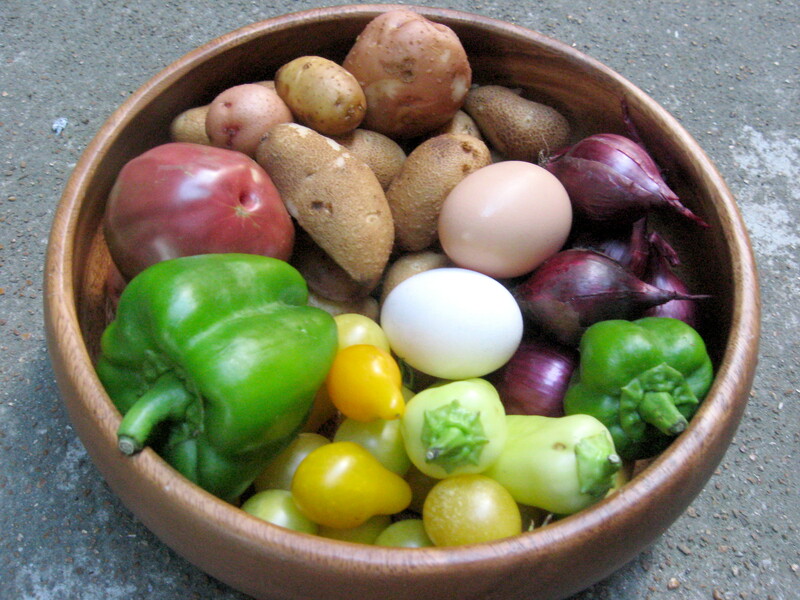 Want to learn more of the art and science of food foraging? Check out Green Deane’s website, Eat the Weeds, and his YouTube channel here. Breakfast burritos: homemade salsa (heirloom tomatoes, jalapenos, hot banana peppers, onion, cilantro, a dash of lime juice and salt), roasted potatoes, sauteed bell peppers and red onions, scrambled eggs. Tortillas, salt and limes were the only ingredients not from the garden. Our cucumber bed at Dave’s place has been exploding lately! 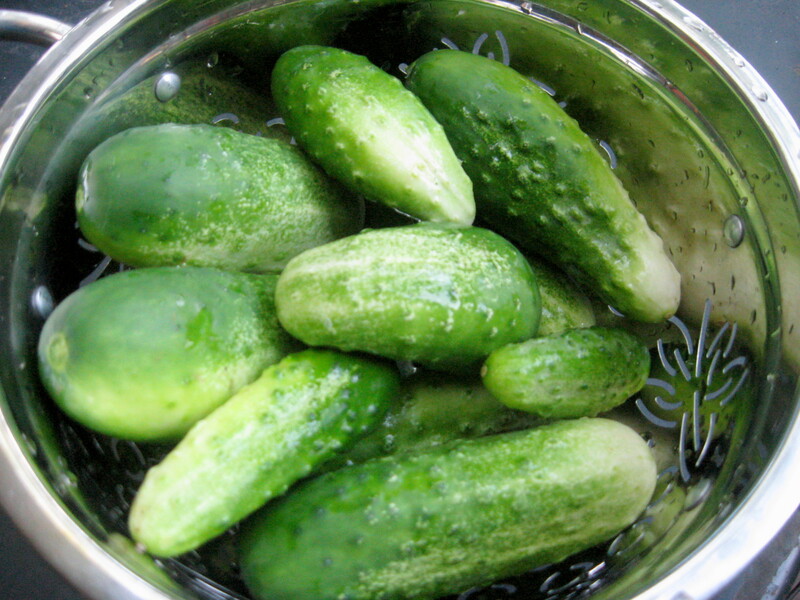 We’re growing a variety of cucumber suited for pickling, though their thin skin and sweetness make them a great raw treat too. 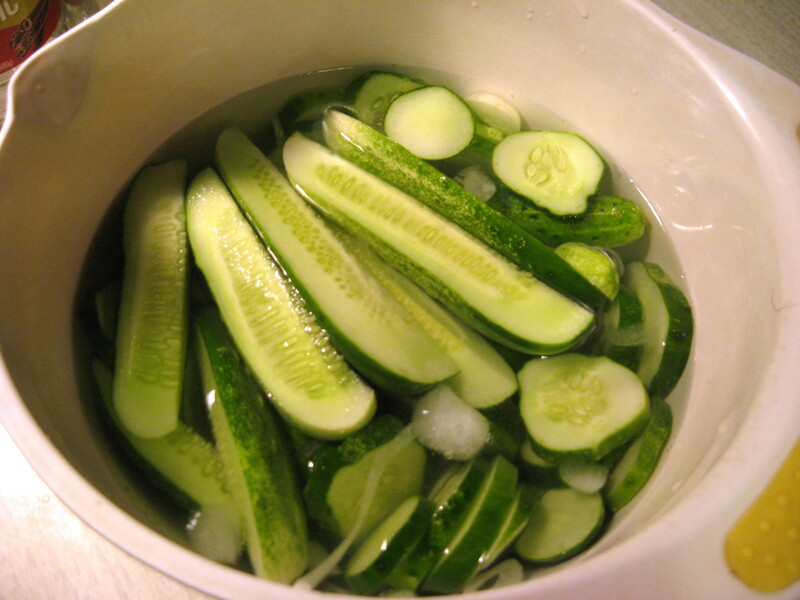 We pickled about three pints’ worth of cucumbers a couple weeks ago. We cut them into slices and spears and added them to our jars with sliced onions, crushed garlic cloves, and dill (all from our garden). We then added a boiled solution of water, vinegar, sugar, salt, and crushed red pepper to each jar until mostly full. Then to seal, we placed the jars in a boiling water bath for about 10 minutes. We kept one jar in the fridge and two in the basement in a dark spot until last week. 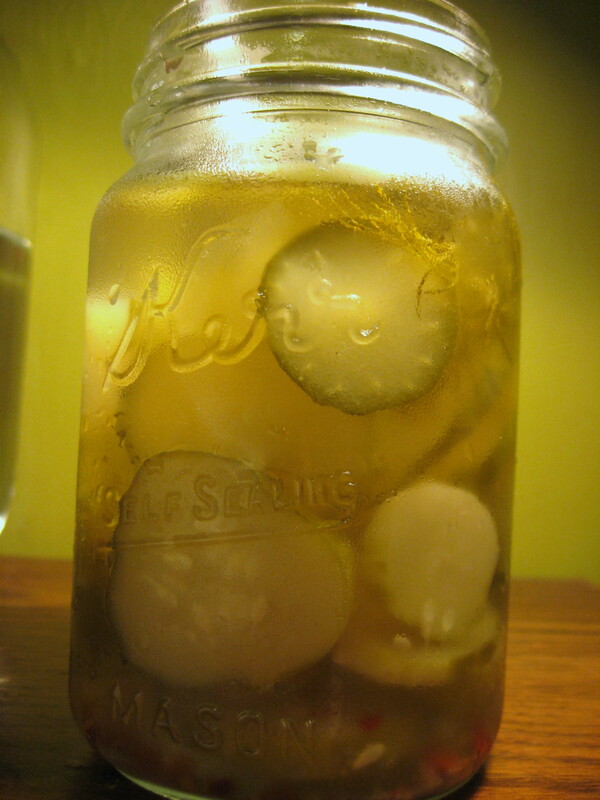 We’ve already gone through the first delicious jar of our homemade pickles. We’re letting the other pickles age a little more before enjoying them! 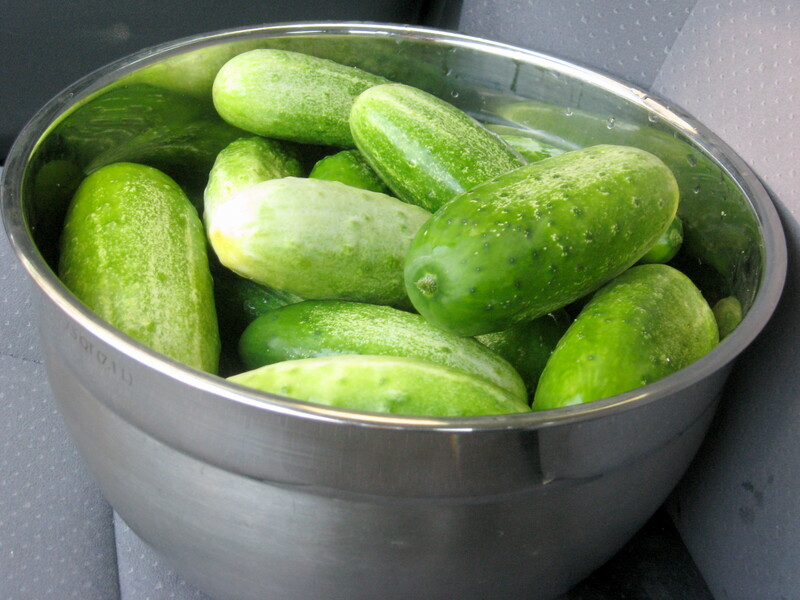 In the meantime, we’ve still been harvesting lots and lots of cucumbers. 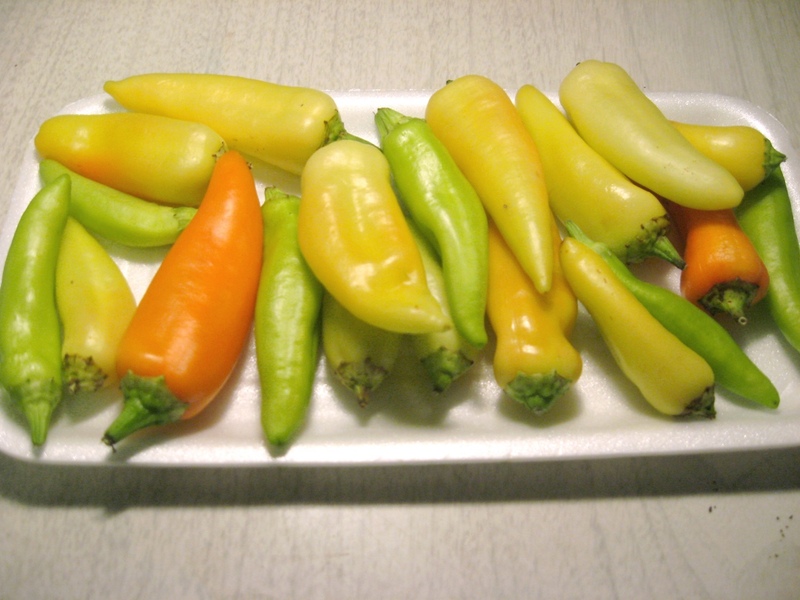 They keep well in the fridge in a bowl of water, and we’ll be pickling again soon. Luckily, we made a great connection with a local restaurant blocks away from our garden at Dave’s Place. That’s right, you can find some of our cucumbers in the delicious wraps and salads at Labeebee’s Mid-East Cafe on Cherokee Street! They happen to have the best falafel in the city, and we’re looking forward to sharing more of our harvests with them.